IoT Gateway connected with Machines inside the factory, to the supply chain and to the cloud, are capable of sensor and actuator level communication, enabling real-time process analysis and offering the flexibility required for mass-customization of goods. 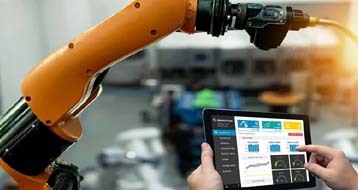 This is achieved through known fieldbus protocols (Modbus and IO-Link) used as backbones to enable advanced Machine-to Machine (M2M) communication that relies on wired (RS485 and Industrial Ethernet) or wireless (WiFi or Bluetooth) connectivity. Our smart energy monitoring systems allow you to monitor and control in real-time how you are consuming energy. Our IoT Gateway can be used in conjunction with LED lighting, solar and battery storage systems to track your savings down to the circuit and even appliance level. By managing these systems with new technologies and software we can reduce our cost. 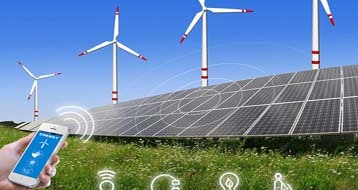 Our IoT gateway can quickly help in connecting and transitioning the existing devices infrastructure, even legacy systems, to securely connect to any smart grid infrastructure, thereby enabling a highly scalable solution for energy conservation projects. Our IoT Gateway & analytics Software can be defined as a large number of data points brought together into a cloud environment in which certain models can be applied to influence the outcome. The common Internet Protocol (IP) platform to connect all of the sensors and devices in a building to exchange and analyze information and optimize controls automatically. 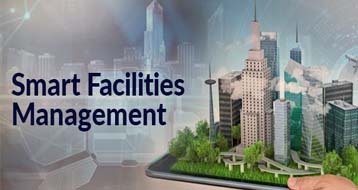 Our facilities management is responsible for managing the organization, the people, and the workplace to attain a fully functional smart building environment.